Performex, Inc. announced today that John Bruce has joined the firm to further develop their growing portfolio of corporate accounts and to support operations as the firm scales its growth. Performex has carved a unique niche in the professional development industry as the only firm focused on industries and companies employing a large percentage of technical specialists, engineers and other subject matter experts in their ranks such as technology, aerospace, pharmaceuticals, utilities. 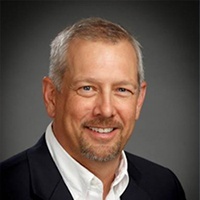 John Bruce comes with a wealth of experience leading and coaching large groups of technical specialists, having spent the last twenty-three years at Kimberly-Clark Corporation in successive operations and engineering leadership roles. Joining as Performex launches its new Leadership Workshop Series, John can continue his success transforming the next generation of experts into leaders. Performex is a full service provider of talent management and talent development services especially skilled at transforming technical specialists, engineers and other subject matter experts into business leaders. Performex offers comprehensive solutions that provide immediate tangible results to address the professional development needs of industries and companies that rely heavily on deep intellectual expertise as a source of competitive advantage. Performex's understanding and experience in serving this unique market is unparalleled.